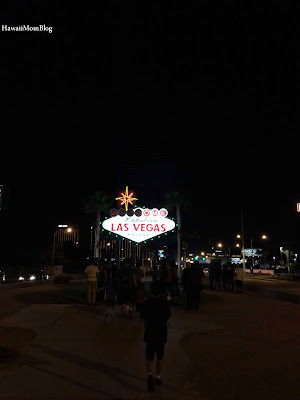 When I researched kid-friendly activities in Las Vegas, I stumbled upon a lot of articles that discouraged bringing the kids to Vegas. However, we still found a lot of things for the kids to do, and they really enjoyed themselves while in Las Vegas. 1. 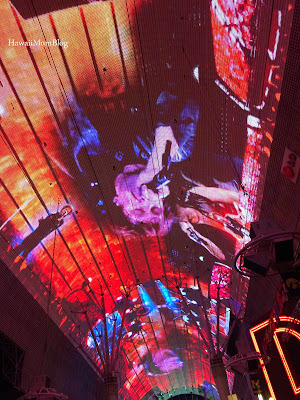 Watching the Viva Vision Light Show at the Fremont Street Experience. 2. 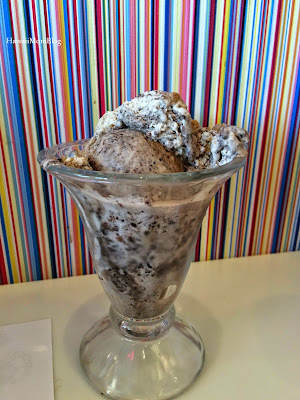 Eating ice cream for lunch at Serendipity 3 (yes, for lunch, because we ate such a huge breakfast and we had a big dinner ahead of us and none of us felt hungry enough for a meal...but we did have room for dessert!). 3. 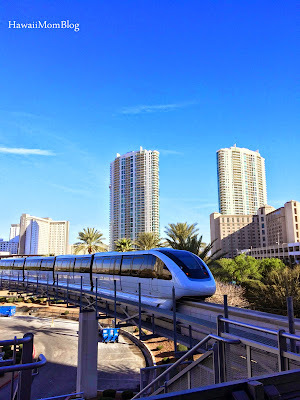 Riding the Las Vegas Monorail. 4. 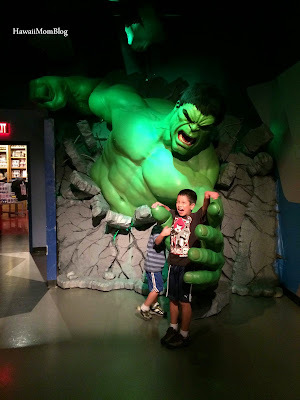 Interacting with the super heroes and watching a super cool 4D movie at Visit Madame Tussauds Las Vegas. 5. 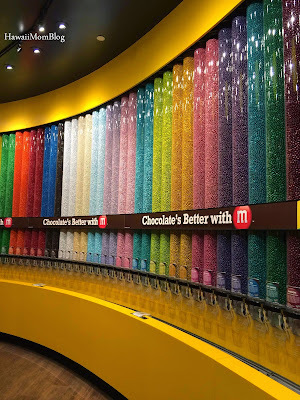 Filling up a bag with colorful M&M's at M&M's World. 6. 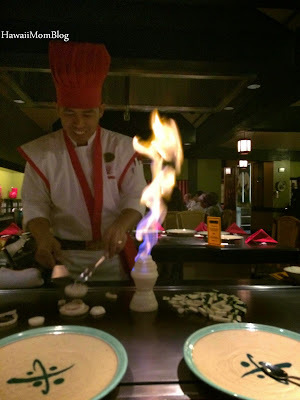 Watching a chef cook our dinner right before their eyes at Benihana. 7. Taking a picture in front of the Welcome to Las Vegas Sign. 8. 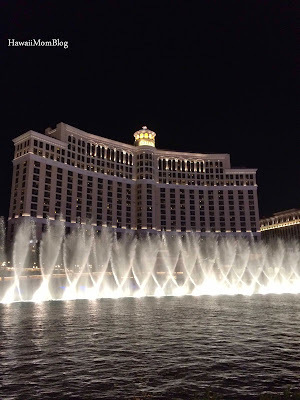 Watching the Fountains of Bellagio. 9. 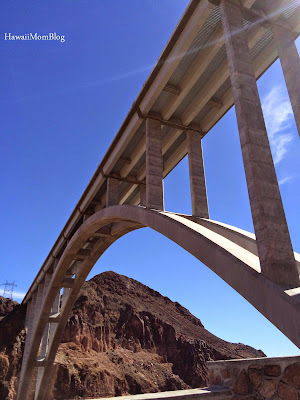 Walking the Mike O'Callaghan – Pat Tillman Memorial Bridge. 10. 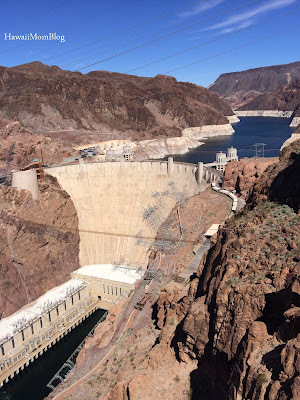 Seeing the Hoover Dam.